For about the last 5 years, I've been longing to visit Croatia. Each Summer that came around, the time was never quite right or some reason came up as to why I booked an alternative trip. Finally this August, we went. It didn't disappoint, so I wanted to document a little run down of highlights for any of you who might be thinking of visiting the Split area - and is either short on time or indecisive, as these are experiences you can achieve in a whirlwind 48 hour trip. I couldn't recommend it enough, for anyone! It caters for nightlife, sunrise hikes, watersports, cruises, aaaalllll the food and still has a beautiful feel of authenticity as it remains mostly unspoilt by British tourists - for now! Split is discreetly saturated in apartments, hotels, and hostels, whatever your style or budget it's a town that caters for all. We booked an apartment on Air B n B and it turned out to be more then perfect for our group and a more than reasonable price for peak season. We stayed near Stobrec, about 6 miles out of Split, further down the coast in a large apartment with a pool and outdoor space. These amenities were just higher on the list of priorities than being walking distance to a club - so it suited excellently. (Message me for all the direct contact details if you're looking to book something similar.) Right in the centre of Split however there's an abundance of traditional, old apartments, or modern hotels. 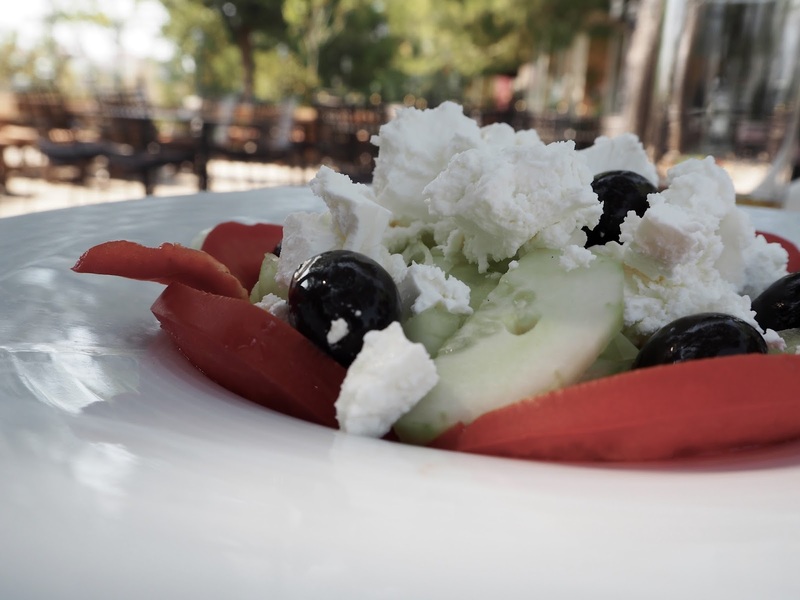 Spots for bottomless brunches, fresh seafood and wine with obligatory bread and olive oil nibbles are not hard to find. You are totally spoilt for choice. The shadowy back streets around the city often house hidden gems of restaurants and bars. 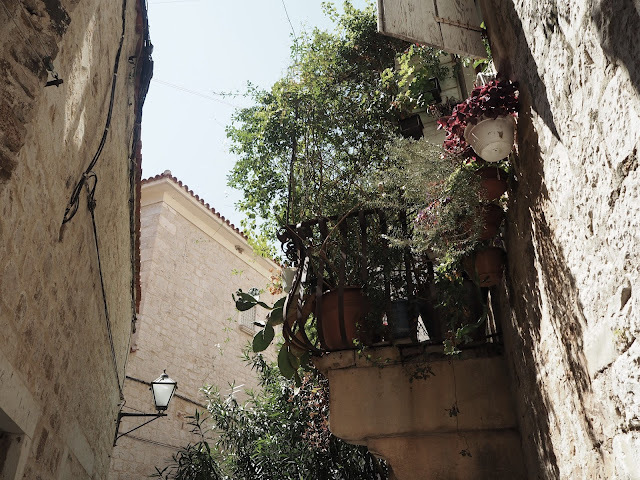 Away from the main tourist drag there are many cafes and eateries with idyllic courtyards and outdoor pizza ovens. The choice of atmosphere, cuisine and budget is vast. 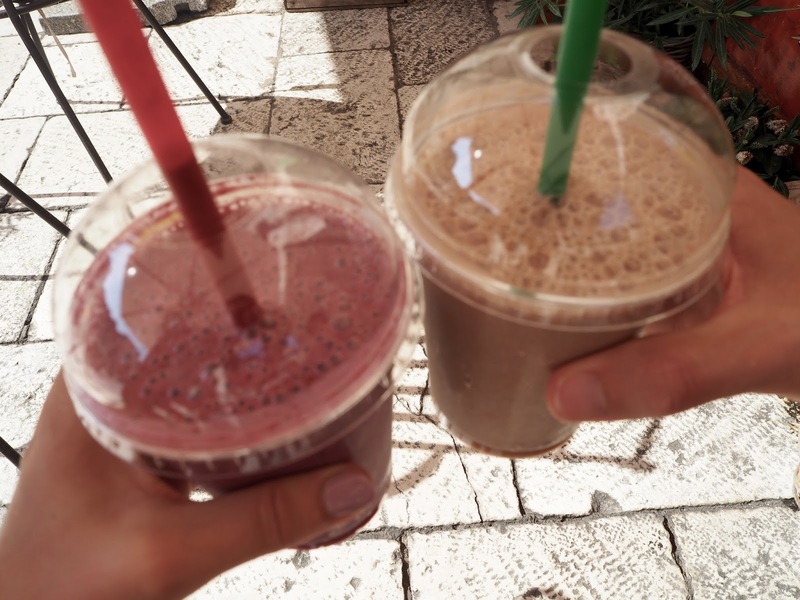 Personal highlights were the smoothie bar on the market square, the olive oil shop called Uje Oil Bar - where you can buy the most delicious variety of olive oils and dressings and people watch on the bustling side streets. Just behind Uje we found a postcard perfect venue for candleit dining, but I cannot for the life of me remember the name of it! Konoba Korta is another restaurant with a menu to suit all tastes and an irresistible bread basket. Generally menus pay tribute to Italian and Spanish influences with many meat and seafood options but also surprisingly good vegetarian and vegan dishes and specialist cafes. Low prices means justifying trying many places not hard, even if it's just a fresh juice or greek salad, sampling as much as possible would be my advice. 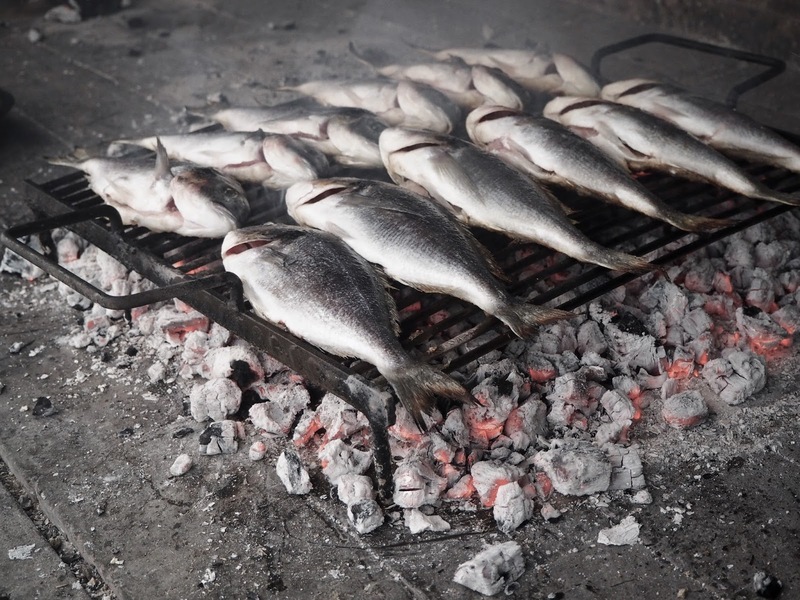 As we had such a fantastic BBQ area in our apartment we often opted to stock up at the supermarket and stay in, cooking up some gorgeous fish and meat dishes and grilled veggies and salads. All washed down with local beer, wine and brandy. The generous apartment owners hosted wonderful Croatian feasts for us twice during our visit where we devoured their home made and home grown produce. Garden grown figs, tomatoes, potatoes, local fish and home made wine were all divine, and definitely things to look out for on menus if you were to eat out alot. 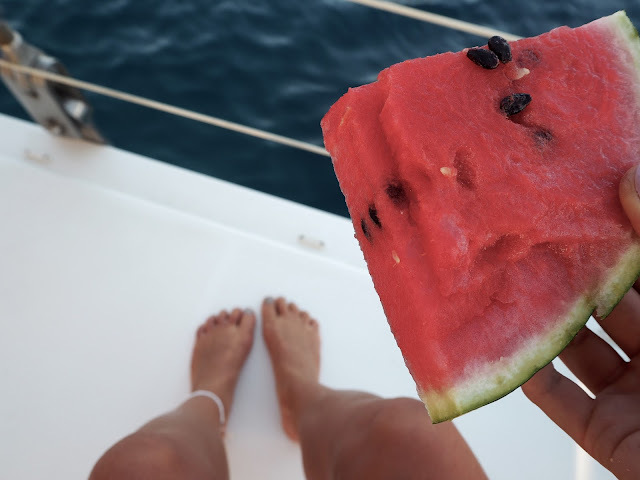 On every sunbathy holiday I have, a boat trip is always high on my to-do list. I'm a total water baby, and time at sea, away from busy ports and with 360 views to inhale is just my favourite. 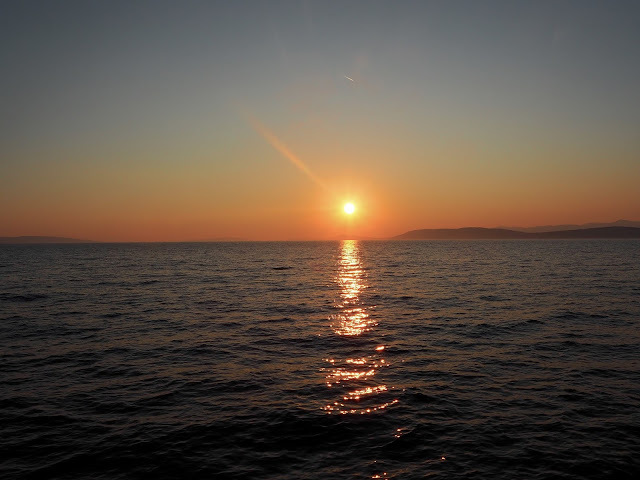 I usually prefer to book excursions independently and not with travel companies or as an organised event however booking a day on a catamaran with Croatia Dream was not a bad decision. The price per adult was around 70euro. It was totally effortless, incredibly relaxing and very good value. It was a full day out, including food, alcohol, a visit to the island of Bol and time to snorkle and sunbathe. Heaven! Drinks started flowing at 9.30 am, and didn't stop til we reached Split port at 7pm once the day was over. Marjan Park is hard to miss and definitely worth a visit. It covers the most western tip of the Split peninsula and offers the most gorgeous green sanctuary for walking, climbing and running above the city. It's thick with pine trees and obviously surrounded by the ocean which makes it both unique and beautiful. There are tennis courts, fresh water fountains, jogging trails and even a zoo set among the forest. You could spend an hour up there, or a day depending on your schedule and criteria. Either way I would recommend you do take the steep steps up Marjan hill (from the entrance in the centre of the town) and admire the incredible views - just don't forget your water and I'd suggest wearing trainers. 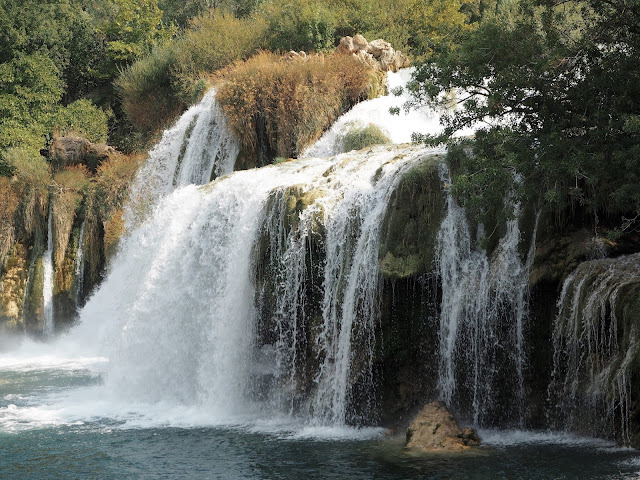 I'll admit I was late to discover the Krka National Park and didn't quite understand what the fuss was about until I stumbled upon their Instagram feed and saw their waterfalls on National Geographic. It's a region of unspilt natural beauty that attracts thousands of visitors every week, with the main feature being their iconic Skradinski buk and Roški slap waterfalls. I would advise scheduling a whole day to travel from Split up to the waterfalls and recommend hiring a car to drive yourself rather than booking an excursion. We did exactly that and I have no regrets, mainly for 3 reasons. 1. It's quicker to drive. 2. It's cheaper to hire a car and pay entry separately. 3. You run to your own itinerary, no following the crowd or rushing back to a bus before you are ready to terminate your trip. Depending on which end of the river you park it takes around 1-1.5 hours to get there. Also dependant on where you decide to park is the availability to take a free boat trip up the river from Skradin to Lozovac. From the Lozovac parking area down to the waterfall is a gorgeous and totally accessible (about 15 minute) walk on a trial path, through the trees. If it's super hot or walking just isn't your thing, you could also hop on a bus and be dropped off much closer. 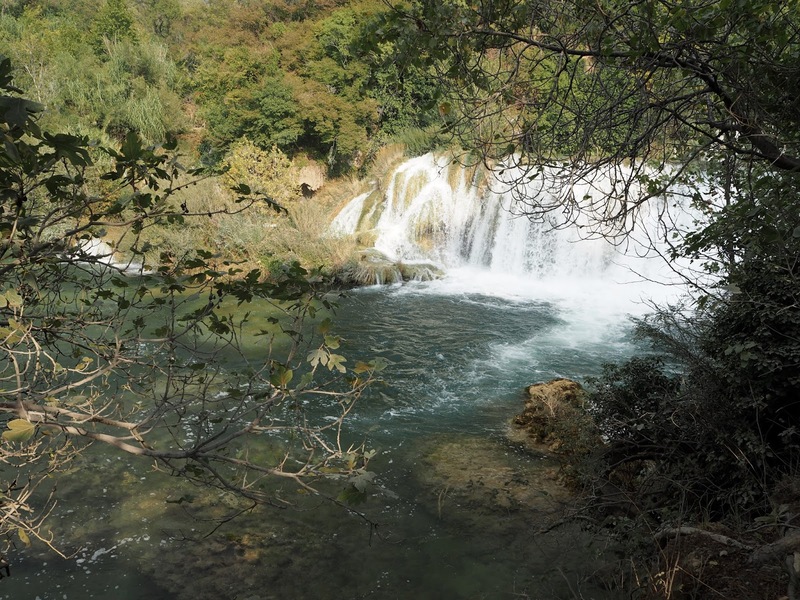 What ever you decide just make sure you reach the Skradinski buk waterfall for a long swim in the shallows, a zillion selfies and picnic before the park closes. Opening times do vary depending on the season so check the website before you plan your day. It's actually super informative and interactive.